The nice people at method recently sent me some of their cleaning products to try out. In the interests of full disclosure, I have to say I’m an existing fan of method Cleaning Products. I’ve mentioned them before in my post on my environmentally friendly cleaning products that work post and my post on washable nappies. My particular method favourites are the laundry liquid and lavender multi-surface spray, but I was keen to try some new method products! The first product I tried out was their new sweet tangerine air freshener. To be honest we’re not air freshener people – it’s not something I normally buy and I prefer opening a window or burning a candle – but I was willing to approach it with an open mind. I like the fact there are no propellants and have to admit it did smell lovely and not in an overly cloying way that some air fresheners can smell. The smell doesn’t linger too long – just enough to cover up what smell you’re wanting to mask and no more – so you’re not going to walk into a room two hours later and still be over-powered! My only real gripe with it was I noticed it did leave droplet marks on our dark tiled bathroom floor that needed wiping off, but as I don’t use air freshener then I don’t know if this is common to all air fresheners? Next on my list to try was method’s Power Foam Dish Soap in lemon mint. The idea is that you spray the power foam on to your sponge or cloth, wipe your dirty dishes and rinse them off. I have to say I was initially a little perplexed by this product – it’s more environmentally friendly to fill your sink and do a load of dishes rather than rinsing them under the tap so I wasn’t too sure why method had come up with this product. It sat on my worktop for a few days unused, and then one night I was filling up my dishwasher. As I filled it up, bar a a pot and a skillet that aren’t dishwasher safe, I realised it would be perfect for those couple of items that can’t go in the dishwasher but you don’t want to fill a sink just to wash one or two things. And so I got cleaning my skillet and was impressed with how easily it removed cooked on food, and the lovely minty lemon smell. I don’t know if it’s something I would regularly purchase though – it’s going to take me quite some time to get through it, and I’m not too sure if it’s much different to wiping down your dishes with a bit of washing up liquid? I’ll update if I find much difference as I go – I’m keeping an open mind! Finally, I tried out method’s Fresh Currant Hand Wash. I’ve used method Hand Wash in the past, so I’m no stranger to their paraben free, triclosan free and naturally derived formulation. Fresh Currant smells lovely, has great cleaning properties and doesn’t dry out my hands so it ticks all my boxes. We’ve been using bar soap for quite some time now as bar soap is generally a bit more environmentally friendly (packaging and transportation wise) than liquid hand wash, so this was a bit of an indulgent treat for us! Thanks method! Have you used any method cleaning products before? Which are your favourites? Disclosure: method sent me some cleaning products to review, but all words, opinions and photos are my own. A little while ago I got an email from a reader asking me “can you recycle envelopes?”. She said she’d read conflicting information on the internet and wanted a definitive answer on whether you can, or cannot recycle envelopes. 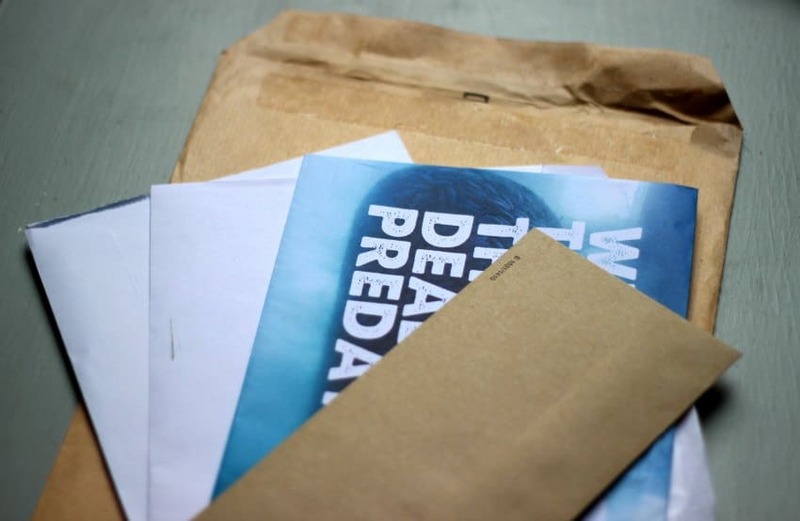 As much as I try to give advice that covers most people in the UK, the trouble is there is in fact no definitive answer to if you can recycle envelopes or not – it all lies with your local council, and the recycling facilities they have in place. Some councils say that you can recycle envelopes provided you rip out the cellophane window. Others say that when recycling envelopes you shouldn’t remove the cellophane – that they can recycle them as they are. Other local councils say they can’t recycle any envelopes at all – windowed or not – as the adhesives in envelopes can gum up the machines. Why it has to differ so much from one area to another does baffle me. My local council (West Lothian Council) won’t recycle any envelopes at all, so it’s a complete pain in the bum for us! So the best advice on the can you recycle envelopes question is: check with your local council. Sorry I couldn’t be more conclusive! What can you do if your council doesn’t recycle envelopes? 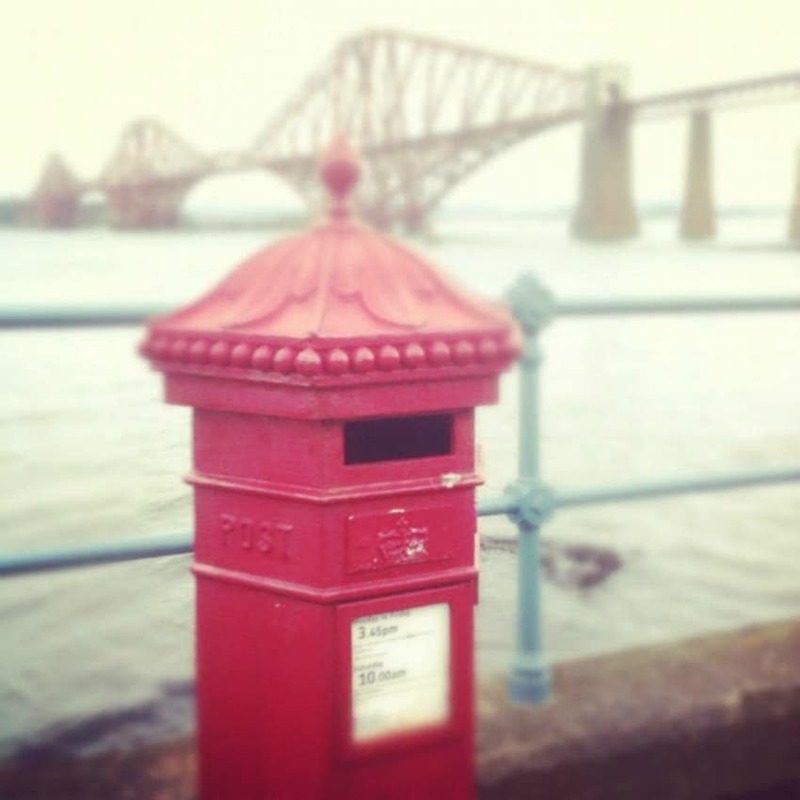 My favourite red post box – it’s in South Queensferry! * Cut up envelopes to use as packaging labels – I reuse envelopes to post items I’ve sold on eBay. To make labels I’ll cut up an old envelope rather than using a fresh sheet of paper. * Remove the window from the envelope, and shred the paper. This paper can then be placed in your composter – the minimal amount of adhesive used in envelopes should break down easily in your composter. See this guide on how to compost if you’re new to composting! * Ask your utility providers to switch you to paperless billing. * Likewise, ask your bank to switch you to paperless statements. * Send eCards instead of greetings cards – Paperless Post is one of my favourite sites for free (and really nice looking, non-cheesy) eCards. And alternatively, If you’ve got the time and are that way inclined then you could make your own envelopes out of recycled paper?? That’s just ten ideas for recycling envelopes and reducing the amount of envelopes in your life. Does anyone have any other ideas for recycling envelopes – do share in the comments below!